ADAPTER, TACHOMETER FOR MAGNETIC TRIGGER - Jeep Parts Guy - All the Jeep Parts You Need! 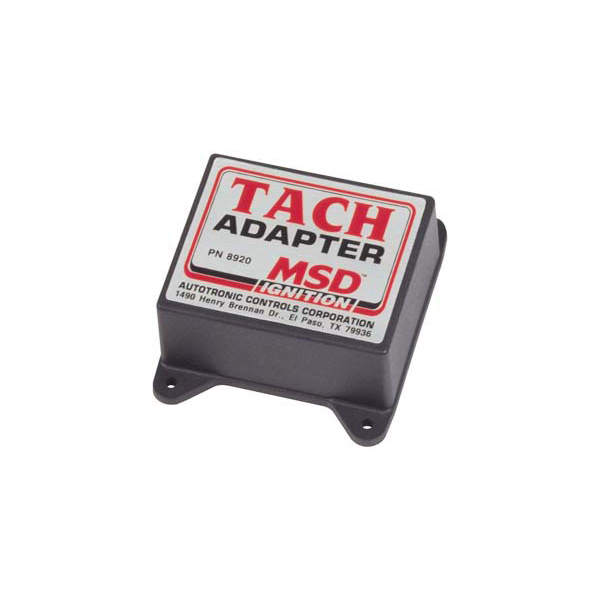 If you are using the magnetic pickup input (green and violet wires) to trigger your MSD Ignition, you will need one of these tach adapters. These units will correct the operation of most voltage-triggered tachometers that do not work units will correct the operation of most voltage-triggered tachometers that do not work directly off of the tach output terminal of your MSD unit.